We make the dirtiest, most dangerous job around a little safer with spill containment, safety supplies and environmental equipment for drilling operations. We deliver tools and rig supplies to location. Additionally, Mountain Supply and Service is the licensed Katch Kan dealer for the Appalachian Basin. We provide completion fluids for coiled tubing, workover and stimulation operations. The chemistry behind our completion fluids speed up hydration and allows them to start working the minute they head down-hole. This helps to reduce circulating pressures, extends life to coil tubing strings, and minimizes fluid usage. We are here to meet all your Flowback supply needs. We stock 1502 iron and fittings, plug valves and repair kits, choke manifolds, choke stems, choke beans and all replacement parts. We also stock a full line of tools, pump parts, gear and equipment to outfit your well service crews. Call Mountain Supply and Service today for all your Flowback needs. We carry flow control equipment for all stages of production and workover from gauges and valves to pressure relief and pressure controllers. We stock flow line, 1502 iron and fittings, choke manifolds, repair kits and replacement parts. Additionally, Mountain Supply and Service can be "on top" of all your Tank Battery Hook-up needs. 03/07/19 - JOIN US MARCH 26 & 27 IN THE WOODLANDS FOR THE SPE/ICOTA CONFERENCE! 06/22/16 - Too Hot for 1100? Operator called and informed Mountain Supply and Service the coil company they were using on this particular location for plug drill-outs was concerned about high circulating pressures. 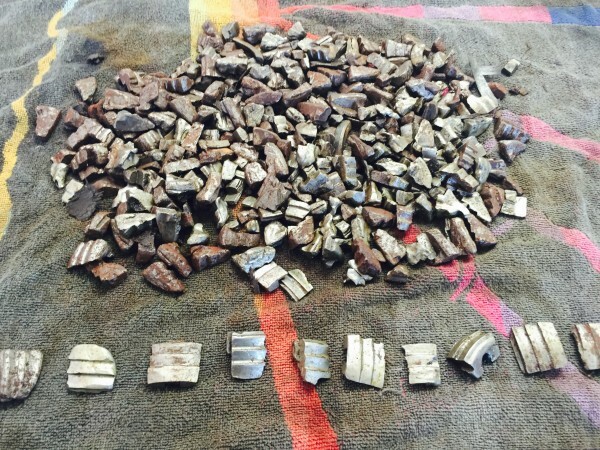 They were using a competitor's Friction Reducer and had circulating pressures of 7,200 psi. Mountain Supply and Service delivered our FR-900 to the location. Shortly after sending our FR-900 down-hole the circulating pressure dropped right at thirty percent to 5,550 psi. In addition, they used 30% less of our FR-900 than compared to the usage of our competitor's FR. 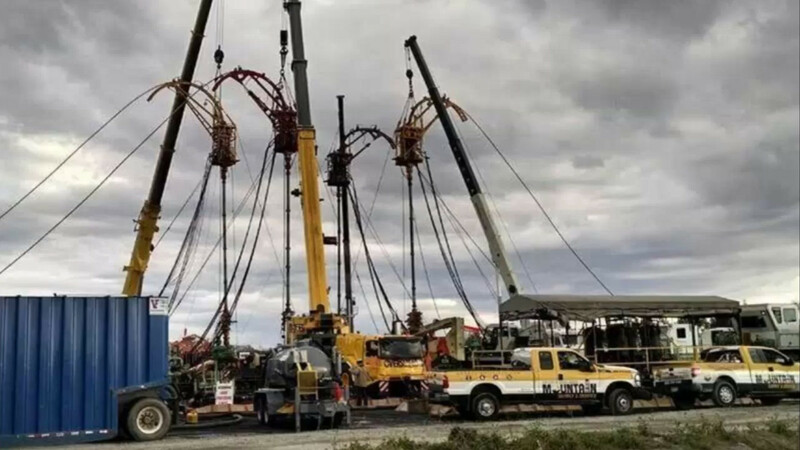 A large coil tubing company was doing plug drill-outs on a four well pad for a particular Operator. They wanted to do a comparative trial between Mountain Supply and Service's Completion Fluid and that of one of our competitor's. For the first well they used MSS's fluids on the first half of the plugs and our competitor's fluids on the second half of the plugs. They reversed this for the second well and used our competitor's fluids for the first half of the plugs and MSS's fluids for the second half of the plugs. They used our competitor's fluids on the entire third well drill-out and MSS's fluids on the entire fourth well drill-out. In all circumstances when using MSS's fluids, the coil tubing company used less fluids and maintained lower circulating pressures of 500 - 600 psi. Operator called and informed Mountain Supply and Service the coil company they were using on this particular location was experiencing significant torque and drag issues. The customer explained that they had used their entire supply of our competitor's pipe-on-pipe and beads. They were only able to move some 100 feet along the lateral over the course of about 16 hours. Mountain Supply and Service delivered our AC/DC Beads and 404-Lube (pipe-on-pipe). Once our AC/DC beads and pipe-on-pipe headed down-hole the torque and drag issues quickly came to an end and were able to finish milling out the final two plugs to complete the lateral in less than two hours after sending our fluids down-hole. Operator called Mountain Supply and Service from a multi-well pad. They informed us the coil company they were using on this particular location for plug drill-outs had been using an average of 280 to 340 gallons of a competitor's Friction Reducer. They were concerned about the volume of fluids usage as well as circulating pressures that were at 6,200 psi. They switched to Mountain Supply and Service's FR-900 friction reducer for the remainder of the wells on this particular pad in which the circulating pressure's dropped to 5,200 psi. and their fluid usages also dropped by an average of 160 gallons..
A major operator, working in multiple shale plays partnered with us on a series of jobs in the Permian for our full-spectrum of Product and Service offerings. Mountain Supply and Service brought our quality completion chemicals and skilled technicians as well as filtration and blending plants to work the operator's mega-pad cube development. In doing so, the Operator stated that our team's dedication to "great service and quality of products we provide...contributed to making their new and innovative drilling methods possible", as they are constantly trying to push the envelope in seeing what they can accomplish as a team in a safe and efficient manner, and thanked us for stepping up to this technical challenge. A major operator, operating in multiple shale plays was looking for an alternative to using a blending unit. Mountain Supply and Service was given an opportunity to show how quality chemicals do not need blenders or shears to work efficiently. We were given 2 wells with a coil to show how our new Gel 1100 performed versus 2 wells of a competitor using a blending unit. We were able to build above a 75 viscosity in the coil unit tank using only 3.5 gallons of 1100. The blender needed 5+ gallons of the competitors gel to get to the same level. The circulating pressures were kept in an acceptable range using only 1 cup of FR 900 per 10 barrels then as they continued to use the reclaimed water they cut back to ½ a cup of FR 900 and kept pressures in the acceptable range. Flowback starting showing frack plug slip rings coming back to surface due to the 1100 building, holding, and maintaining viscosity to surface. Return viscosity was in the 35-45 range when checked at the gas buster. The savings for the operator was achieved by eliminating the blender and by reduced mix ratios of chemicals. The competitors price per gallon was lower but Mountain supply’s price per well, and price per plug was less. Coil Tubing company used Mountain Supply and Service's FR-900 Friction Reducer and Gel-1000 on a couple of drill-outs and then made the decision to utilize our completion fluids on all of their drill-outs. Over the course of the following 18 months the coil tubing company monitored their circulating pressures, fatigue, and pipe string life. Prior to switching to Mountain Supply and Service's Completion Fluids the coil company was averaging 600,000 to 700,000 running feet per pipe string. At that point the pipe string would fatigue out and had to be replaced. At the end of the 18 months of monitoring utilizing our completion fluids our coil tubing customer was averaging well over 1,000,000 running feet on each of their pipe strings. This saved the coil company tens of thousands of dollars of replacement costs and made them a very happy customer. A major operator was attempting to drill out a long lateral with some well bore deviation with a coil unit. They knew they would working at the limit of coils reach. The operator asked about Mountain Supply and Services AC/DC Beads and our 204 lube. We told them that these products worked well with torque and drag issues but we have a new Liquid Graphite product that can be used in conjunction with our lube that will help extend coils reach and reduce torque and drag. Towards the last 3 plugs they started running into torque and drag issues and starting using 1 cup of liquid graphite and 1 cup of lube 204 per 10 barrels. The torque numbers were reduced and the final 3 plugs were able to be drilled out. The operator was running 2 coil units and second unit was stuck and they introduced the Liquid graphite lube mixture and were able to get the second unit unstuck.